CAA hosted its 102nd Annual Conference from February 12 to 15, 2014, at the Hilton Chicago in Chicago, Illinois. This year’s program included four days of presentations and panel discussions on art history and visual culture, Career Services for professionals at all stages of their careers, a Book and Trade Fair, and a host of special events throughout the region. Preceding the Annual Conference was CAA’s second THATCamp, an “unconference” on digital art history that took place at Columbia College Chicago. Over 4,000 people from throughout the United States and abroad—including artists, art historians, students, educators, curators, critics, collectors, and museum staff—attended the conference. Visual-arts professionals from over 43 countries were represented at the conference. Conference sessions featured presentations by artists, scholars, graduate students, and curators who addressed a range of topics in art history and the visual arts. In total, the conference offered over 200 sessions, developed by CAA members, affiliated societies, and committees. Approximately 800 individuals presented their work. Career Services included four days of mentoring and portfolio-review sessions, professional-development workshops, and job interviews with colleges, universities, and other art institutions. Approximately 240 interviewees and 47 mentors participated in Career Services. During the week of the Annual Conference, there were 165 active jobs posted on the Online Career Center and 56 employers participating onsite. This year’s Book and Trade Fair presented 108 exhibitors—including participants from the United States, the United Kingdom, the Netherlands, Belgium, Mexico, and Germany—that displayed new publications, materials for artists, digital resources, and other innovative products of interest to artists, scholars, and arts enthusiasts. The Book and Trade Fair also featured book signings, lectures, and demonstrations, as well as three exhibitor-sponsored program sessions on art materials and publishing. ARTspace, a “conference within the conference” tailored to the needs and interests of practicing artists, presented programming that was free and open to the public, including this year’s Annual Distinguished Artist Interview with Kay Rosen. Over three hundred people attended this lively event. The scheduled interview with William Pope.L was unfortunately cancelled due to inclement weather. ARTspace also featured four days of panel discussions devoted to visual-arts practice, opportunities for professional development, and screenings of film and video. ARTexchange, an open-portfolio event in which CAA artist members displayed drawings, prints, photographs, small paintings, and works on laptop computers, took place on Friday, February 14. Nearly 40 artists participated in ARTexchange this year. The Media Lounge, a space for innovative new-media programming in conjunction with ARTspace, presented the UncommonCommons project. UncommonCommons was an incubator for skills and knowledge-sharing that responded to the themes of the commons and “commoning.” The project included a series of workshops, film and video screenings, public discussions, and provocations by a range of international artists, filmmakers, activists, art critics, curators, educators, lawyers, and ethnographers. Programmed by CAA’s Services to Artists Committee, ARTspace was made possible in part by a generous grant from the National Endowment for the Arts. The Student and Emerging Professionals Lounge served as a hub for networking, information- sharing, collaboration, professional development, and much more. The Student and Emerging Professionals Committee hosted an incredibly informative session on “Teaching Professional Practices in the Arts” to a packed audience; five Brown Bag Sessions with attendance ranging from 25 to 60; a successful, first-ever social night; and two days of Mock Interviews at full capacity. The SEP Lounge was sponsored by Wix.com. Wix workshops were held daily at the Annual Conference to captive audiences. Wix empowers creatives and entrepreneurs to build their own website—without having to write a single line of code. Wanda M. Corn, professor emerita of art history at Stanford University, was CAA’s 2014 Distinguished Scholar. Corn was honored during a special session, sponsored by the Terra Foundation for American Art. Gwendolyn DuBois Shaw of the University of Pennsylvania chaired the session and five additional participants—Lanier Graham, Cécile Whiting, Richard Meyer, Ellen Wiley Todd, and Tirza Latimer—joined Shaw in exploring and celebrating Corn’s many contributions to American art. More than 400 people attended CAA’s Convocation and presentation of the annual Awards for Distinction, which honor the outstanding achievements and accomplishments of individual artists, art historians, authors, conservators, curators, and critics whose efforts transcend their individual disciplines and contribute to the profession as a whole and to the world at large. Jessica Stockholder of the University of Chicago delivered the keynote address. Video of her presentation will be posted on CAA’s website and YouTube page in the coming weeks. They will take office at the next board meeting in May 2014. CAA’s membership also voted in favor of an amendment to the By-laws. The board believes that this change will benefit members and sustain the services that CAA provides. The amendment also provides for flexibility in enabling CAA to make further changes to the membership structure as may be deemed desirable in the future. Following Convocation, the Art Institute of Chicago hosted CAA’s Opening Reception on Wednesday evening, February 12. Over 600 attendees gathered to celebrate the conference while enjoying a stroll through the Art Institute’s Modern Wing. CAA celebrated its copublishing partnership with Routledge, Taylor & Francis, with a reception and champagne toast at the CAA booth in the Book and Trade Fair on Friday afternoon. The highlight of this year’s CAA International Travel Grant Program was a full-day preconference on Tuesday, February 11, 2014. The grant recipients, who came from 20 countries from around the world, gave presentations about their work, addressing topics such as art and national identity, international issues in contemporary art, cross-cultural influences on artistic styles, and curriculum reassessments of art-historical training. The talks featured a wide range of art, from Renaissance arches to Islamic-Hispanic domestic architecture, from communist-era paintings in Poland and Russia to contemporary art in Estonia, South Africa, and Malaysia. Following the presentations, Rick Asher, professor of art history at the University of Minnesota, led a stimulating discussion that further explored the above topics as well as the differences in how art history is practiced around the world. This is the third year of the International Travel Grant Program, funded by the Getty Foundation. Additional support for the program was provided by the National Committee for the History of Art. CAA released and distributed a Fair Use Issues Report and held a discussion about the ongoing fair-use project. Video from the fair-use session will be posted to CAA’s YouTube page in the coming weeks. Members of CAA’s Board of Directors and staff would like to extend their gratitude to all conference funders and sponsors, attendees, volunteers, and participants; the organization’s committees and award juries; the Hilton Chicago staff; Choose Chicago; the museums and galleries that opened their doors to conference attendees free of charge; and everyone else involved in helping to make the 102nd Annual Conference such a tremendous success! CAA’s 103rd Annual Conference will be held in New York City, February 11–14, 2015. The College Art Association is dedicated to providing professional services and resources for artists, art historians, and students in the visual arts. CAA serves as an advocate and a resource for individuals and institutions nationally and internationally by offering forums to discuss the latest developments in the visual arts and art history through its Annual Conference, publications, exhibitions, websites, and other events. CAA focuses on a wide range of issues, including education in the arts, freedom of expression, intellectual-property rights, cultural heritage and preservation, workforce topics in universities and museums, and access to networked information technologies. Representing its members’ professional needs since 1911, CAA is committed to the highest professional and ethical standards of scholarship, creativity, criticism, and teaching. On February 14, 2014, CAA members voted to approve an amendment to the organization’s By-laws that will permit the Board of Directors to streamline the current categories of membership and develop a structure based on benefits rather than on income. The amendment also provides for flexibility in enabling CAA to make further changes to the membership structure as may be deemed desirable in the future. The amendment grew from a detailed analysis of CAA’s current membership structure and reflects the results of a recent survey evaluating the most highly valued aspects of membership as well as the needs of contingent faculty. New benefits will include: online access to The Art Bulletin, Art Journal, and caa.reviews; additional online access to a non-CAA publication published by Taylor & Francis (the new copublisher of CAA’s journals); and JPASS access at a 50 percent discount. CAA will also offer part-time membership for contingent faculty. CAA is accepting applications for spring 2014 grants through the Millard Meiss Publication Fund. Thanks to a generous bequest by the late art historian Millard Meiss, the twice-yearly program supports book-length scholarly manuscripts in any period of the history of art, visual studies, and related subjects that have been accepted by a publisher on their merits but cannot be published in the most desirable form without a subsidy. The publisher, rather than the author, must submit the application to CAA. Awards are made at the discretion of the jury and vary according to merit, need, and number of applications. Awardees are announced six to eight weeks after the deadline. For the complete guidelines, application forms, and a grant description, please visit the Meiss section of the CAA website or send an email to nyoffice@collegeart.org. Deadline: March 15, 2014. 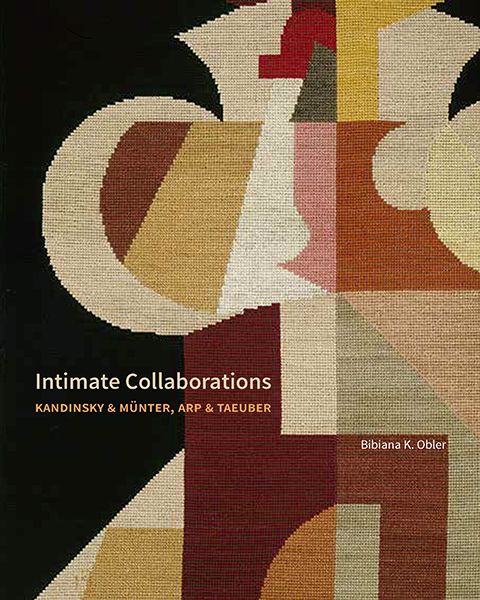 Bibiana K. Obler’s book Intimate Collaborations: Kandinsky and Münter, Arp and Taeuber won a Meiss grant in fall 2012. The Association of Art Museum Directors (AAMD) will cosponsor two provenance workshops this spring: one in Seattle, Washington, and another in Washington, DC. This workshop will be held on May 18, 2014, in conjunction with the Association of Academic Museums and Galleries’s annual conference in Seattle. The workshop will review best practices for conducting provenance research in art museums, with a focus on Nazi-era provenance, as well as issues pertaining to antiquities and cultural property. The session is geared to all levels of experience and can serve as a how-to and a refresher. The workshop leaders will discuss due diligence and the acquisition process, online research tools, and the handling of restitution claims. The workshop is limited to fifty participants; ample time will be allotted for Q&A. Victoria Reed, curator for provenance at the Museum of Fine Arts, Boston, and Nancy H. Yeide, head of the Department of Curatorial Records at the National Gallery of Art, will conduct the half-day workshop, which will be held at the Hotel Deca in Seattle. Each participant will receive a copy of Yeide’s book Beyond the Dreams of Avarice: The Hermann Goering Collection (2009), which is the first biography to focus on Hermann Goering’s personal collection and provides the first opportunity since the war to look at the collection as a whole and evaluate its place within art collecting and politics. 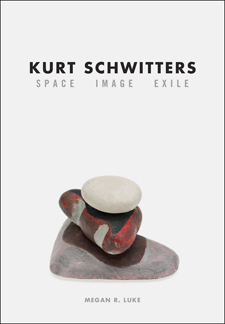 This carefully documented volume is critical to the clarification of provenances of the objects featured and brings to light pictures whose histories and whereabouts have been hidden for decades. In cooperation with the National Archives and Records Administration, the Smithsonian Institution, and the American Alliance of Museums, AAMD will sponsor a workshop for advanced researchers following the success of a two-day, Nazi-era provenance seminar that was held in 2011. Taking place at the National Archives on June 17, 2014, this workshop is limited to thirty participants who are experienced researchers working in museums. The event will provide a hands-on workshop on using new and updated online provenance research resources. Registration will include a copy of Holocaust-Era Assets, a Finding Aid to Records at the National Archives at College Park. Nancy H. Yeide, head of the Department of Curatorial Records at the National Gallery of Art, and Chris Naylor, director of textual records for the National Archives, will lead the one-day workshop, which will be accompanied by an introduction to new materials at the Archives of American Art led by Marisa Bourgoin, chief of reference services for the Archives of American Art, and Laurie Stein, senior provenance advisor for the Smithsonian Provenance Research Initiative. The cosponsors for the DC seminar express grateful appreciation to the Samuel H. Kress Foundation for support to defray expenses for workshop participants. To apply for registration go and to learn more about Kress grants, visit the AAMD website.